It’s a New Year and it looks like the La Colombe chain of coffee shops is changing over a new leaf. After years of proudly not offering Chicago customers WiFi — hoping to stimulate conversations between patrons rather than having them locked into their devices — they’re reversing course at two locations. It’s a compromise, but La Colombe in Wicker Park and Lincoln Park now offer WiFi on weekdays, thanks to customer demand. “I got asked 15 to 20 times a shift if there is WiFi,” said Alice Howe said, a barista at the Wicker Park La Colombe, 1552 N. Damen Avenue. 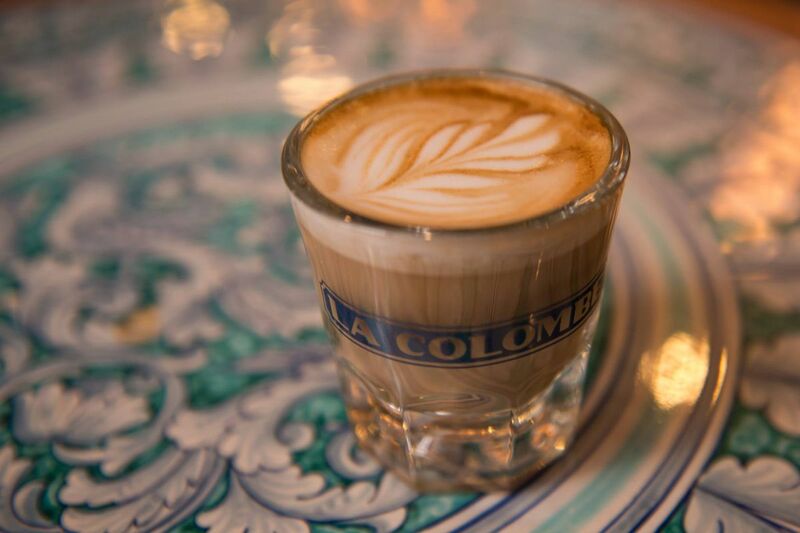 When La Colombe opened in Wicker Park in 2014, a spokeswoman for the Philadelphia-based chain told DNAinfo that it was not offering WiFi because La Colombe strives to foster interaction and conversation. But four years later, customers have managed to change management’s mind. Weekday WiFi service won’t come with a time limit and is offered by Zenreach. “It’s coming from a hospitality perspective of giving people what they want and minimizing reasons for people to be upset. We see [the WiFi] as more for the traveler who is coming through Chicago and needs to connect their phone for a bit, it’s not for a power working session,” said Evan DeVries, general manager for La Colombe’s four Chicago locations. DeVries said that every city is different and “Chicago is its own special place,” as the chain, which started in 1994 and entered Chicago in 2011, realized. “In Philadelphia and in New York City, people enjoy [not having WiFi] and like it. In Chicago, we tried to force the whole no WiFi culture and it didn’t necessarily work,” DeVries said. At the Wicker Park La Colombe and Lincoln Park’s La Colombe, 858 W. Armitage Avenue, patrons can use WiFi by either entering their email address or logging in through Facebook. DeVries said that the La Colombe at 955 W. Randolph Street in the West Loop will remain no WiFi, as will a forthcoming Gold Coast outpost at 4 E. Elm Street that aims to open in February. “Gold Coast only has a few tables and we will not offer WiFi since it’s so small, and if AT&T had a reliable and better Internet service at our Randolph Street location, we would have [WiFi] there too,” DeVries said. The chain’s largest Chicago neighborhood location at 5158 N. Clark Street in Andersonville began offering weekday-only WiFi almost two years ago, after initially opening in 2014 with no Internet. “The neighborhood [in Andersonville] was outraged we didn’t have it. We are not in the business of trying to make people angry,” DeVries said, emphasizing that the Wifi at all La Colombes will be for weekdays only. “It will be turned off on Saturday and Sunday to ensure space for families and groups of people to come in. We still want it to be more of a community and conversation-focused experience. People can still have face-to-face meetings,” DeVries said. Along with adding WiFi, La Colombe recently switched its pastry provider from Dollop to Logan Square’s La Boulangerie. “La Boulangerie is more in line with our brand and quality was also a factor,” DeVries said.